One year after their last studio album, The Corrs are returning full circle with their latest album Home, to be released through Gallo Record Company on September 26th. As the title suggests, The Corrs are back to fond beginnings, defining a journey that began 15 years ago. It is a record that is held close to the bands’ hearts, compiled through a songbook of the late Jean Corr, and brought to life by the bands’ urge to bring new interpretations to traditional Irish songs. 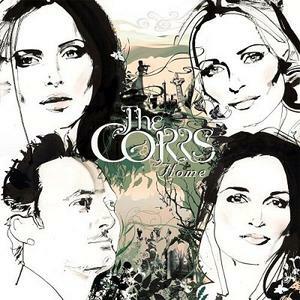 It was Caroline Corr who first suggested a return to traditional form, since “everywhere we go in the world we are asked to do more Irish music.” Featuring the BBC Radio 2 Concert Orchestra and working with orchestral arranger Fiachra Trench and producer Mitchell Froom, who has worked with The Corrs on three previous albums, the band set out to create an eclectic mixture of songs and instrumental airs. Recorded over six months, the making of the album became a journey in uniting both old and new. Traditional Irish songs were carefully chosen, and set to new arrangements, whilst remaining true and faithful to the core emotion of the originals. The mixture of traditional and contemporary is one that is truly celebrated throughout Home. Whereas the predominately Irish songs are interpreted in a contemporary way, other songs such as ‘Heart Like A Wheel’, originally written by Anna McGarrigle, remain strongly Irish in sound and spirit. This spirit shines through in tracks such as ‘Buachaill On Eirne’ which is one of two tracks sung in Gaelic; a true testament to the integrity of this album, and its desire to bring together Ireland’s past, present and future.